Surgeon with premises at 267-271 Derby Street, Bolton. Son of Bolton brewer and cotton spinner William Young. Councillor 1898 1907. 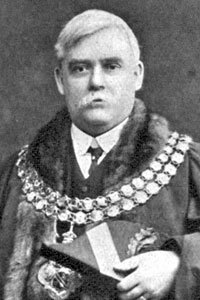 Alderman from 1907. Chairman of the Higher Education Committee 1903-10, Sanitary Committee 1907-10 and Education Committee from 1910. He was chosen to stand in the 1910 General Election but finally stood down in favour of Col George Hesketh. Opened Tonge Fold Council School on 7 January 1911. Opened Tonge Park and Pleasure Ground on 26 June 1912. Opened Spinning School in Bridgeman Street and Flash Street School 14 September 1912. 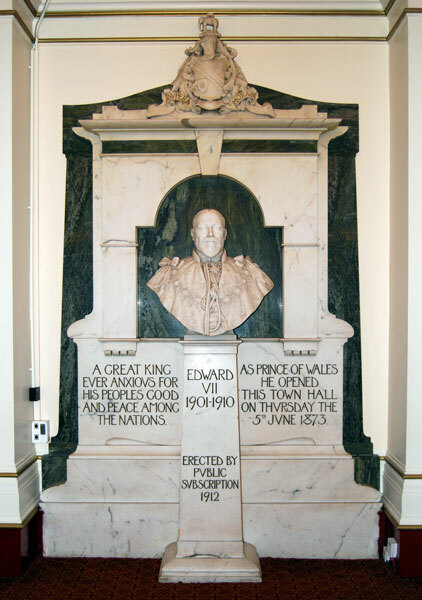 As Mayor he unveiled the bust of King Edward VII in Bolton Town Hall on 16 December 1912. He met King George V and Queen Mary when they visited Bolton in July 1913. During the First World War he was a Major in the Volunteer Training Corps and became commanding officer. School Manager of Emmanuel Church School and President of the local Boy Scout Movement and supported all Youth Movements. He was a Governor of the Church Institute, Bolton Grammar School, Bolton High School for Girls and the Catholic Secondary School. He was President of Bolton Medical Society, a member of the Distress Committee and Vice Chairman of the Governors of Mather's Charity. He was President of the Workers Education Association and a member of the Council of the Association of Technical Institutes. Anglican - he worshipped at Deane Church and Emmanuel Church. There is a window in Deane Church dedicated to the memory of his wife, Annie Elizabeth Young, who died during his Mayoral year. 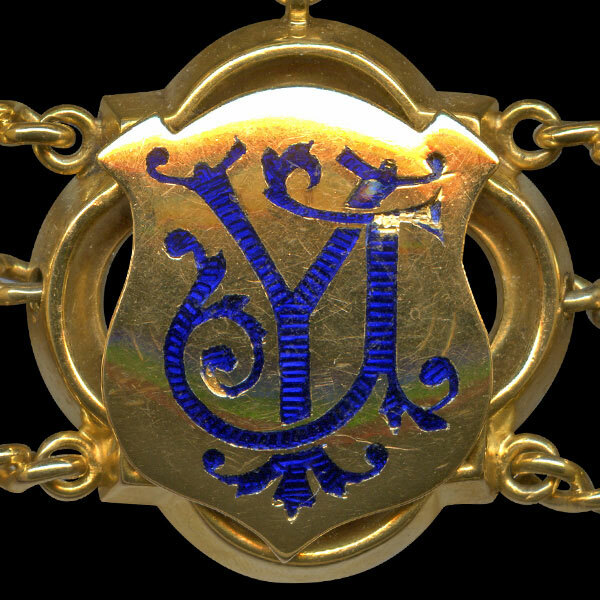 Their 17 year old daughter, Charlotte Mary Young, took over the role of Mayoress for the rest of his term. 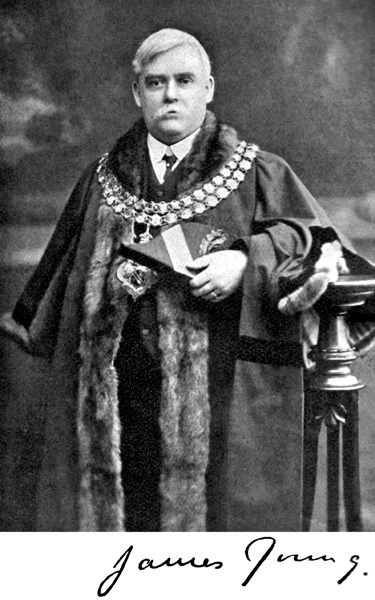 Formal portrait of Dr James Young as Mayor of Bolton. Caravezza marble bust of King Edward VII by George Frampton in Bolton Town Hall unveiled by James Young December 1912. 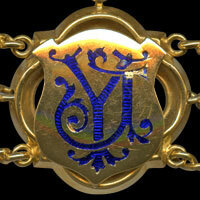 James Young's link on the Mayor of Bolton's Chain of Office.